I have MOTIVATED, ENTHUSIASTIC, and AVID readers! Students who would barely pick up a book without being forced would read through recess if they could! How is this magic happening? With a magical book, Harry Potter and the Sorcerer's Stone. I had an epiphany "well, duh!" moment last year. So many times I referenced Harry Potter throughout the year, and students knew it was my favorite. 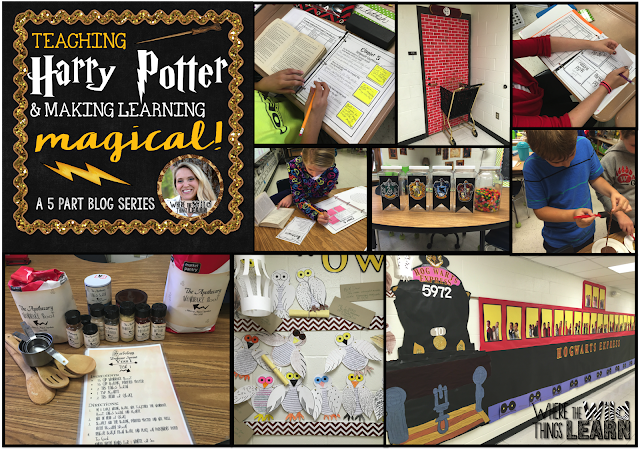 Towards the end of the year, one little yahoo raised his hand after one of my HP references and said, "Mrs. Cap, if you love Harry Potter so much, why don't you teach it?!" *Insert palm smack to the face here. * Oh my gosh, my 4th graders are genius! Fast forward 6 months, and I am knee deep in wizards, witches, wands, potions, and love for reading! 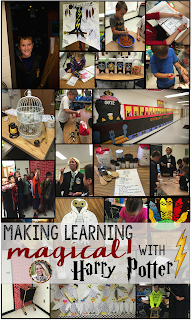 I want to share with you the magic that we have created in our classroom. I spent 5 weeks on this unit, and it was a whirlwind of a time! 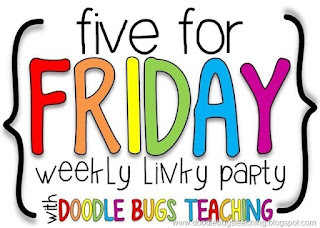 I will be telling all about the activities of each week in a blog post. I will be bundling all of these activities into a no prep novel study! I plan to have this done in the next week or so so keep an eye out for it. :) It is available now! Click here to purchase. 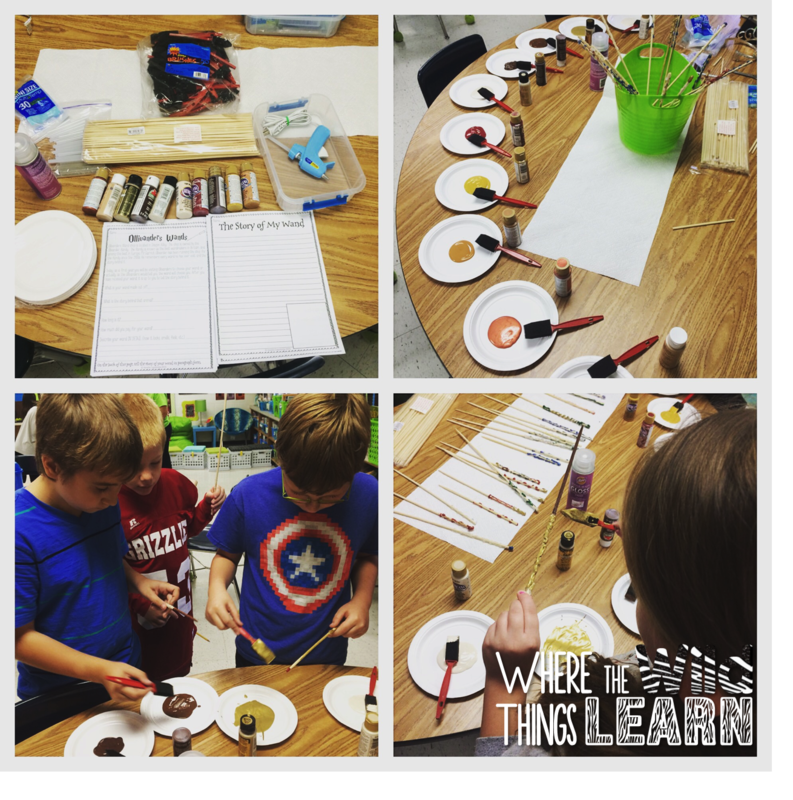 Today's post is all about week one! This is usually called my "VIP" but I changed it to Head Prefect for Harry Potter time! :) I even made a badge for the Head Prefect to wear around. 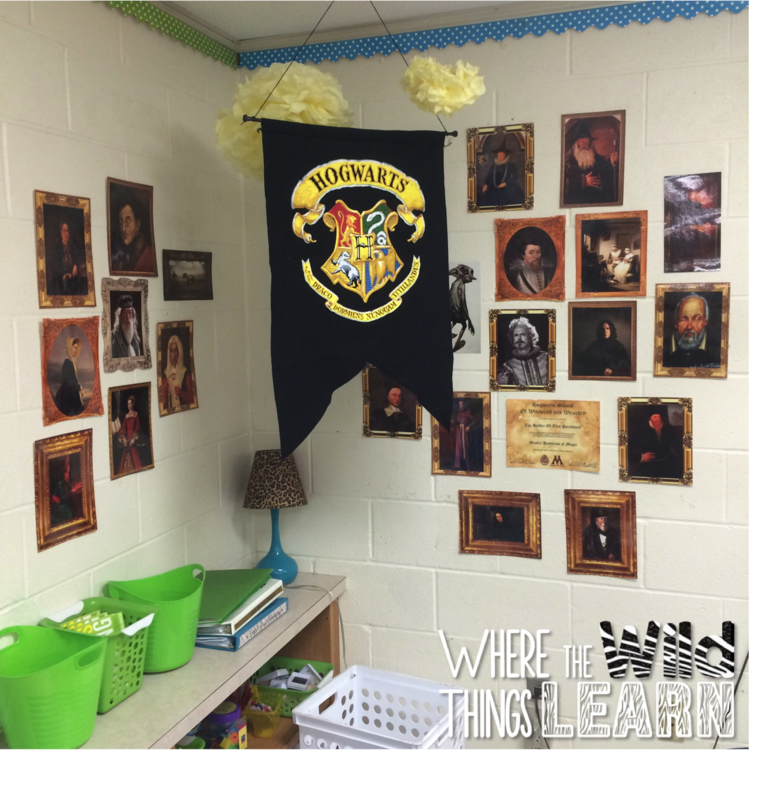 Even though we hadn't started the book, I wanted to start our classroom version of Hogwarts right away. 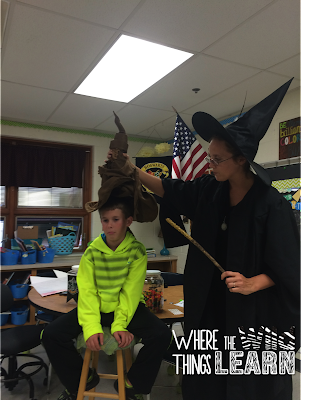 So, day 1 was Sorting Hat Day! 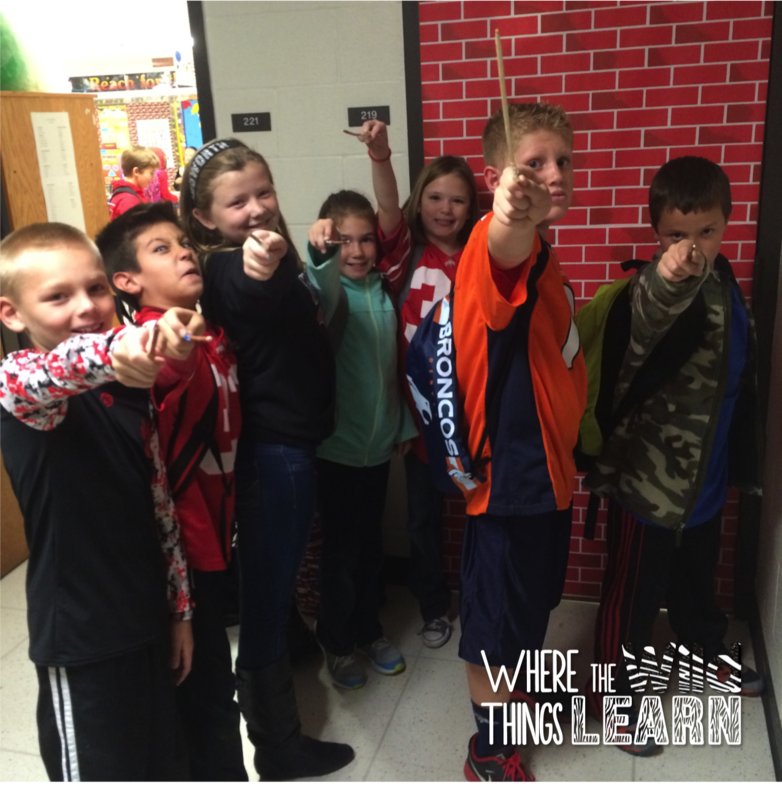 One at a time, I called the students up, placed the hat on them, and played their sound clip. There were cheers from everyone as students were sorted! Once students were sorted, each house selected a House Leader. I told them to choose someone who would help keep them organized, be responsible, and keep the group working well together. I placed this house scorecard on the leaders desk, with a dry erase marker. 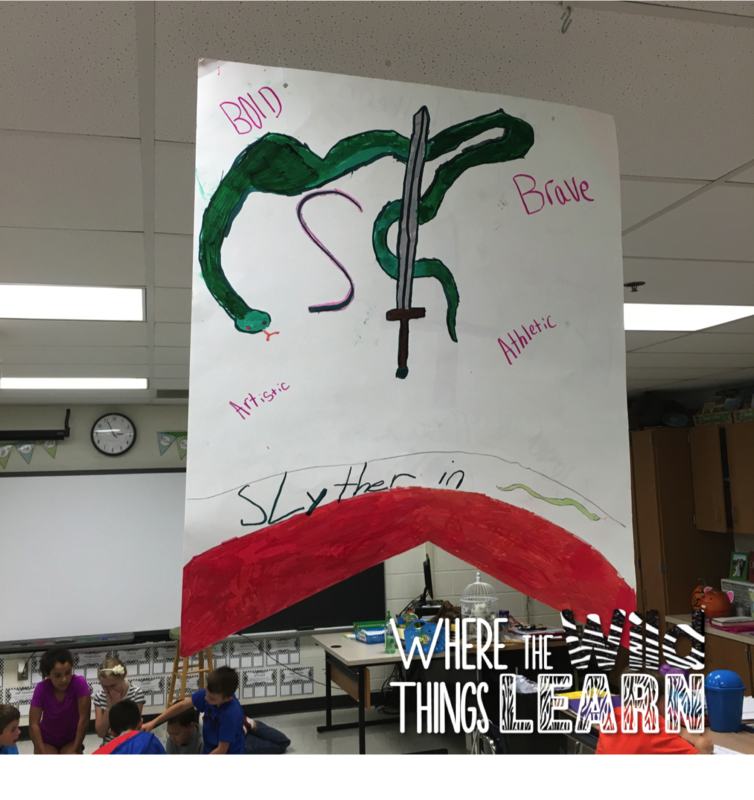 We then read the Sorting Hat Song from the book. I had students use a highlighter to highlight character traits as we read. Next, I gave each House Leader a House Traits & Crest organizer. Houses had 10 minutes to come up with as many character traits as they could that they all had in common. 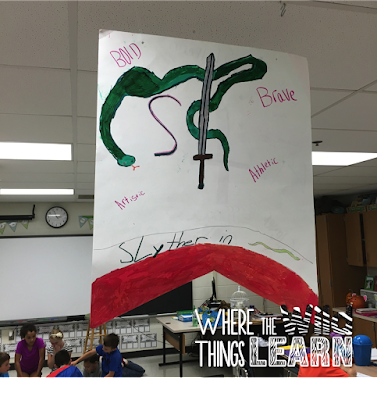 Once they had their list and showed it to me, they began working on designing their house crest to represent these traits. They had to include a slogan or at least 3 traits on their crest. 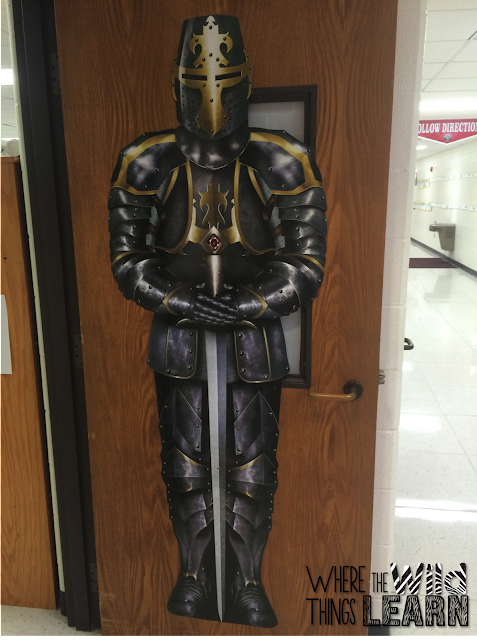 After our house crests were done, I introduced the House Cup! 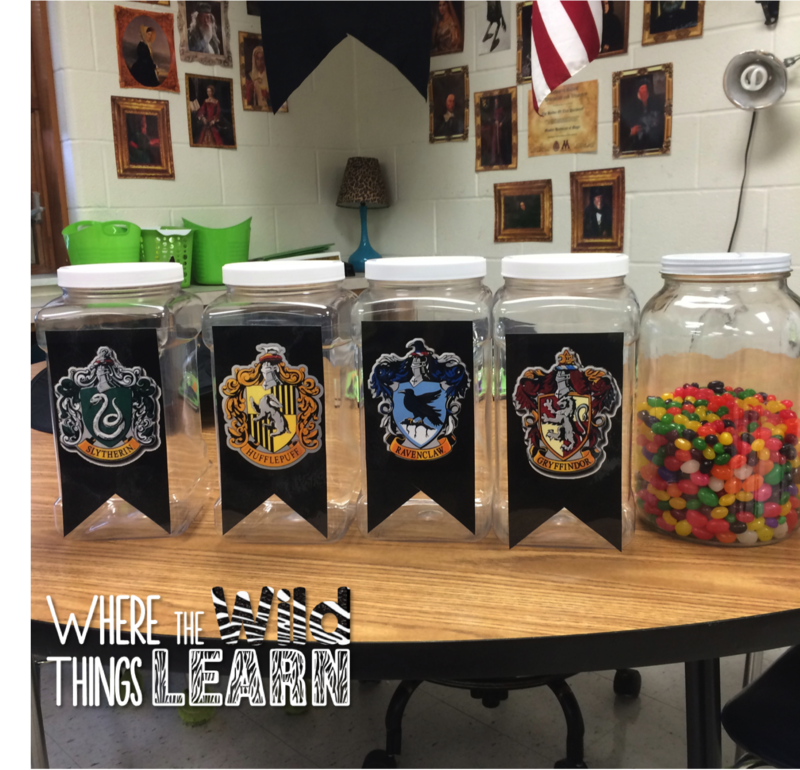 Each house has their own jar. House Leaders keep track on their score card throughout the day and add jelly bean points at the end of the day. 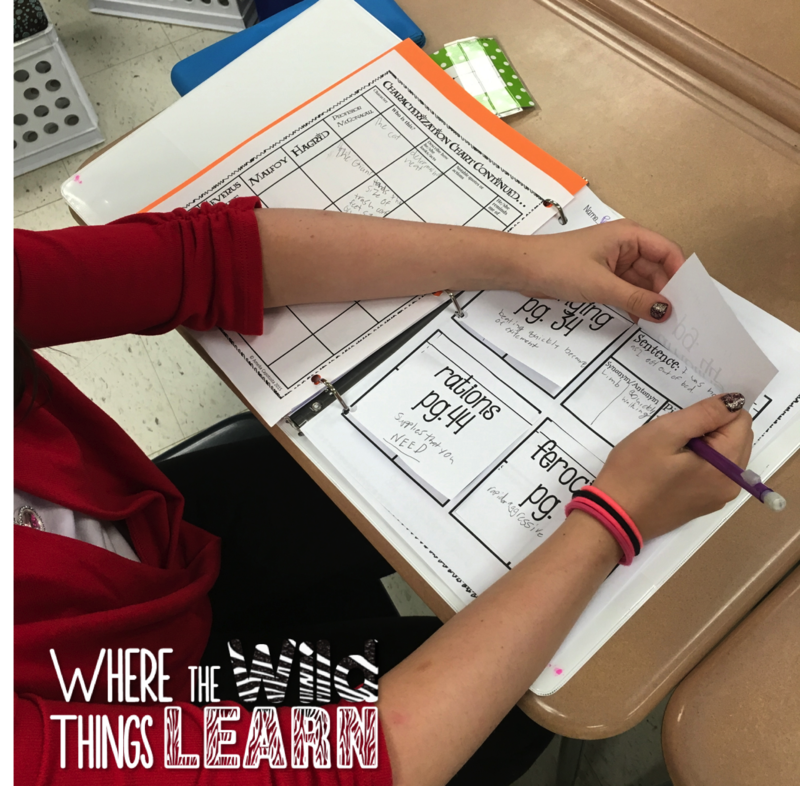 I have two classes of 4th graders, so each house had two groups working towards their points! We set off reading Chapter 1, and filling out our chart as we met characters! 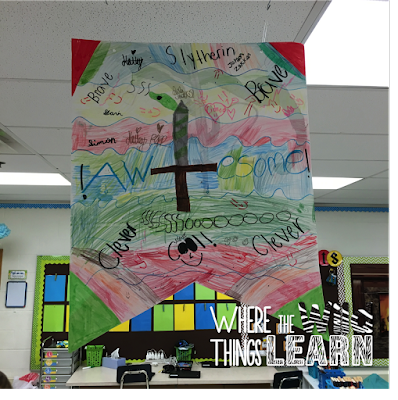 Over the first week, we read through Chapters 1-3. We started slow because I really wanted to give the students time to understand the setting and this new world that JK Rowling was painting for us! 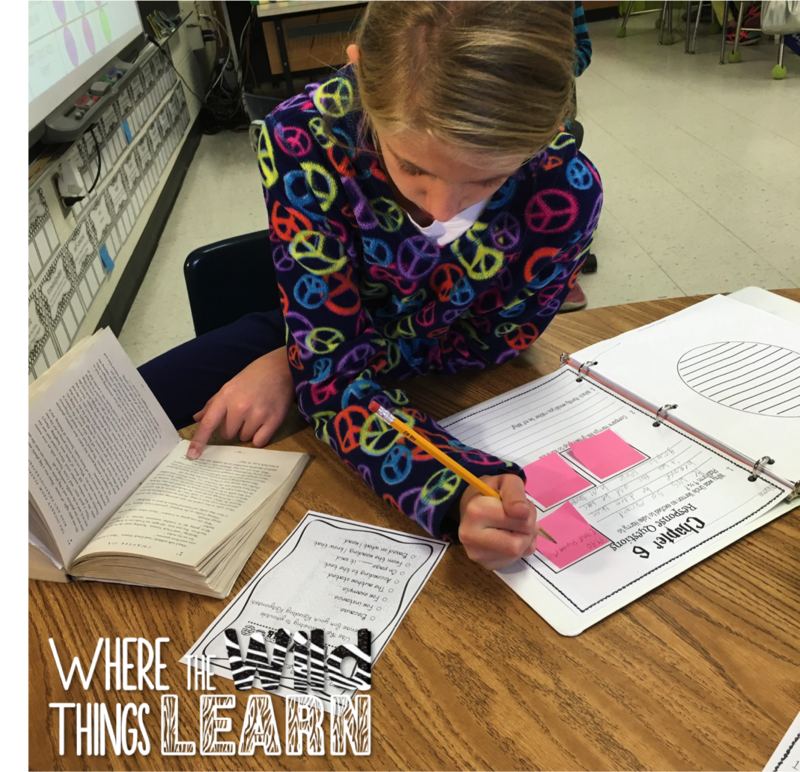 As we read each chapter, we had vocabulary flip boxes and post-it note comprehension questions. Students had to answer the response questions in the own words, and look for evidence in the book. This is something a lot of my students struggle with, so to make it fun I made it post-it note evidence! When they found evidence in the book, they wrote it on a post-it note and stuck it with the question. 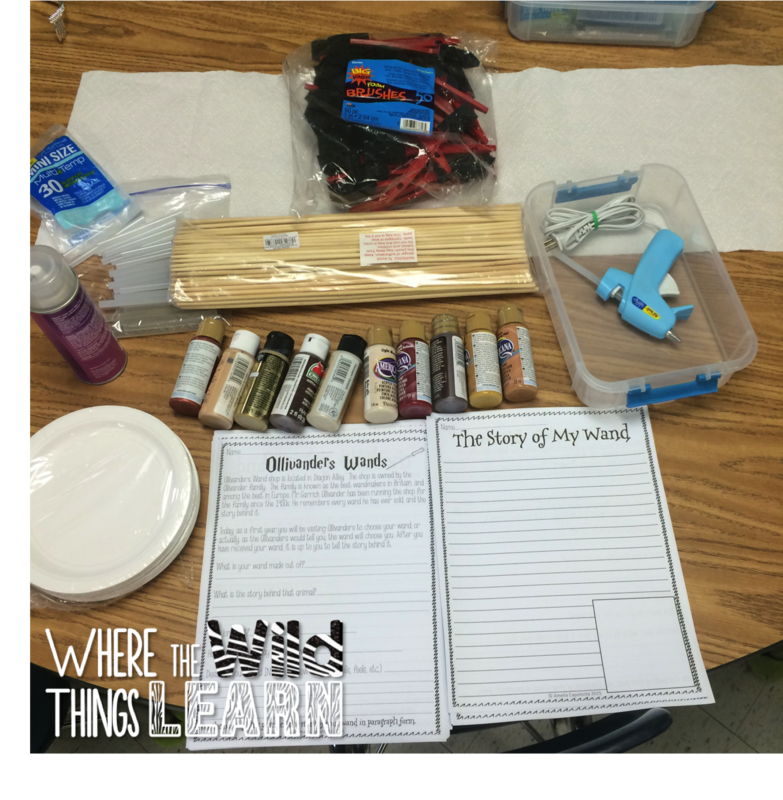 To finish out each week, I wanted to have a fun, project-based lesson! So each Friday we had some Hogwarts fun! 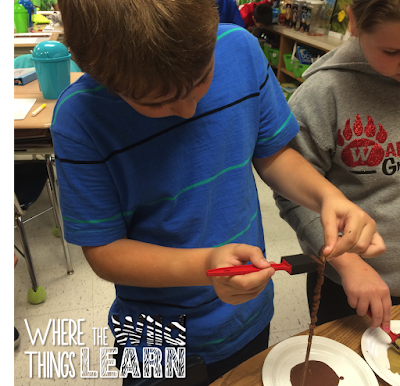 Friday #1 was Wand Making 101. First, we made our wands! I used thick bamboo skewers that I ordered here off of Amazon. Here they are all dry and ready to go! I called students up by house to start working. 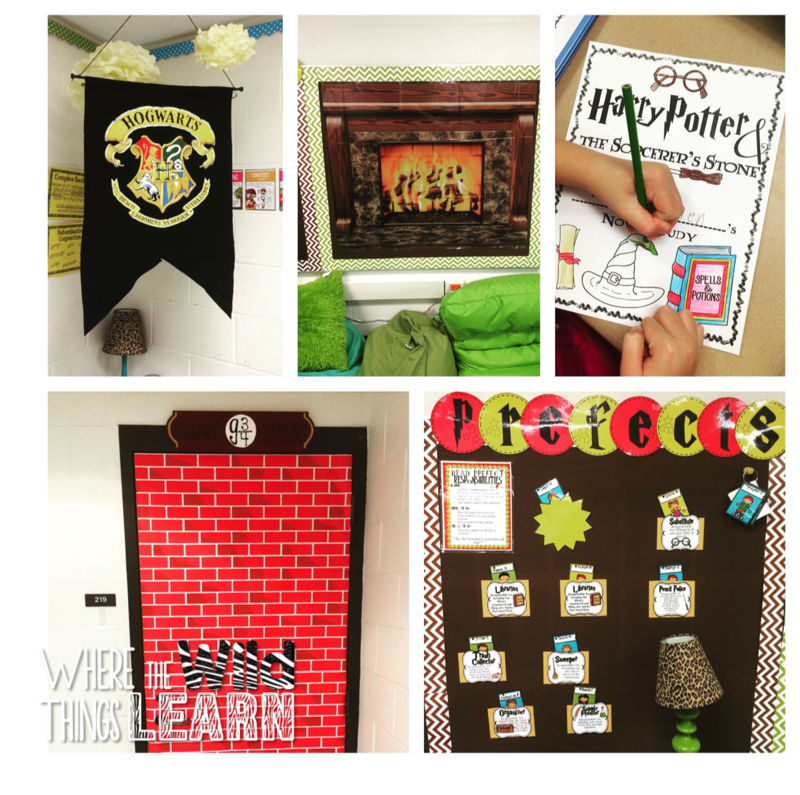 While houses were waiting to go, they started working on their wand story organizer. 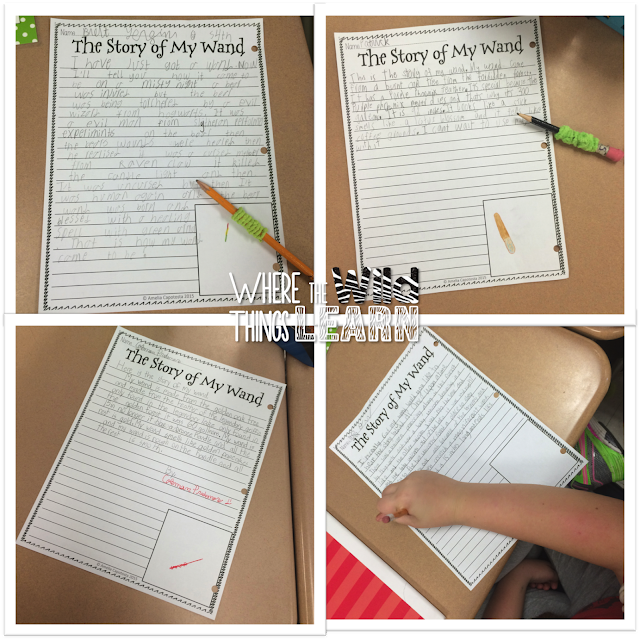 Then, students wrote the story of their wands. 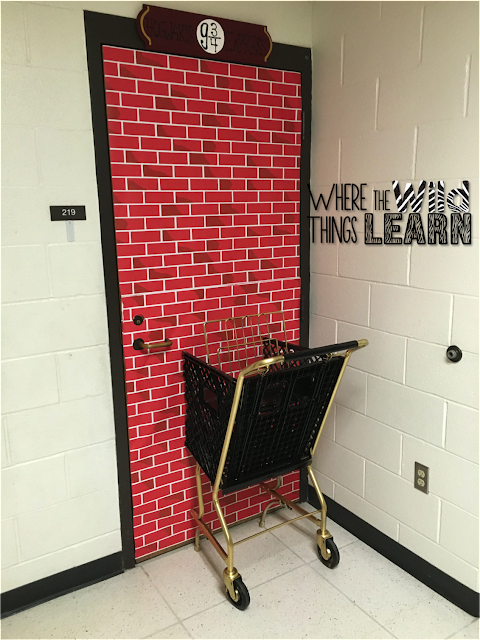 This was a great way to tie in narrative writing, and my students LOVED it! Here are some finished wands! How fun! I read this book with my kids and can't wait to see what else you do. This is AMAZING!!! I'm just catching up on reading your posts, but how much fun is this! As a fellow, Potter Head, I am loving how you've completely taken your kids into the book!! I am absolutely blown away by this magical experience you've created in your classroom! I want to be in your room!!! :) I just love how you have set everything up, integrated so many important skills, and captivated your students! This is AWESOME! :) Thank you so much for sharing it! Um, wow. Becks would SO want to be in your class. I kinda want to join in!!!! LOVE THIS SO MUCH!!!! LOVE!! What an amazing job of bringing a story to life!!! Your kids are so lucky!! I have GOT to know how you did that shopping cart through the door! 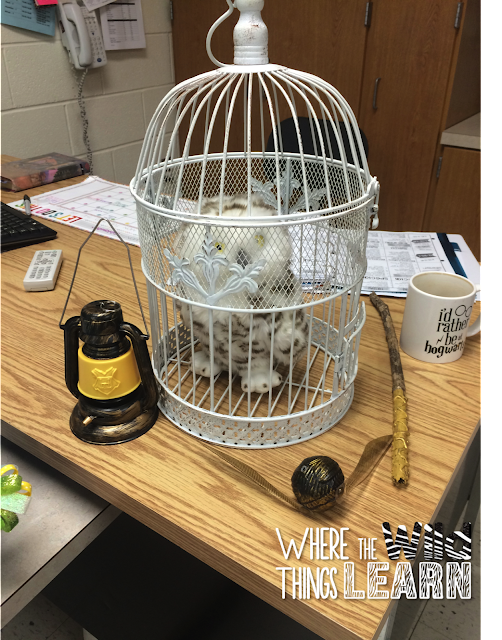 I am doing a HP theme in my classroom next year and I am IN LOVE with how you managed to pull that off! PLEASE let me know!!! Thank you! !